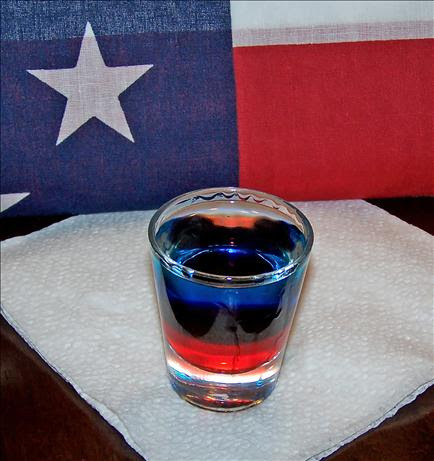 Sasaki Time: Patriot Shooter Recipe! 1 Pour grenadine into a shot glass. 2 Slowly pour in blue Curacao to create a blue layer. 3 Then slowly add vodka to create clear top layer.